The internet pretty much lost it after rumors started swirling that Harry Styles was off the market last month. That’s right, multiple outlets reported that the “Sign Of The Times” singer was dating Japanese model Kiko Mizuhara. But after she claimed that she never even met Harry before, everyone assumed it was all just #fakenews, and we were able to breathe again. Well guys, the two were just caught on camera looking suspiciously close, and everyone is wondering what the heck is going on here. The One Direction member headed out to a karaoke bar on Saturday, February 2 to celebrate his 25th birthday. But since nothing gets by the fans, it was no shock that when Queer Eye star Bobby Berk shared a few videos from the festivities, fans were quick to notice that Kiko was there. In one of the clips, the 25-year-old and his rumored new fling could be seen standing among some other friends, posing for the camera. Yep, cue thousands of girls’ hearts shattering. The rumored couple seemed to have a lot of fun celebrating the singer’s birthday (Kiko’s the one in the black-and-white striped shirt!). 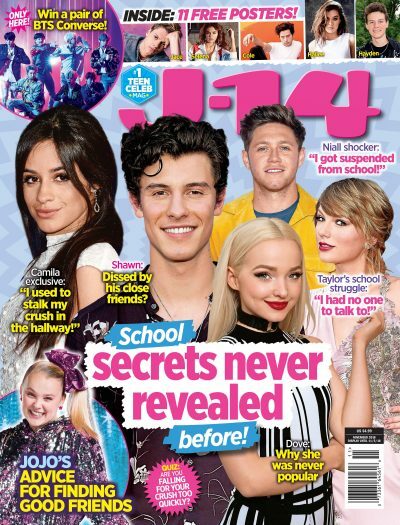 As J-14 readers know, rumors first started swirling that they were dating after the pair followed each other on Instagram a few weeks ago. Plus, fans were quick to notice that Harry has been spending a lot of time in Tokyo (where Kiko lives) lately, and considering that Japan is literally on the other side of the world from where the singer normally spends his time, it was definitely suspicious. But now, with the new picture proof that they are indeed friends, fans are starting to wonder what the heck is really going on. Some even pointed out that something very similar happened with Harry and his last girlfriend, Camille Rowe. When the 1D crooner was asked about the Victoria’s Secret model during an interview back in 2017, he acted like he didn’t know her — only to be spotted a few weeks later hanging out with her. “I’m having war flashbacks. Remember when [Nick Grimshaw] asked about Camille and Harry was like, ‘Who’s that?’ Then they went on a date the next week,” one fan tweeted. We mean, it’s definitely possible that the stars really hadn’t met when Kiko tweeted that, and that they got to know each other since then. Or it’s also possible that the model’s tweet was just a cover up in an attempt to hide their relationship. Guess we’ll have to wait for some more updates!